I hopefully speak in the name of everyone when I say that fitness is becoming increasingly valued in nowadays society. You are involved in it, you hear about it, you see advertisements about it or you constantly try to get yourself motivated to start a fitness program, the importance placed on physical activities and the benefits they bring is considerably much more significant. After all, what is the use being alive if you can’t enjoy it? I am keen on sharing with you one of the most useful, if not the most useful thing you can do to maximize the results that you can get from your work-outs. While meditation requires almost no physical effort (unless intended to, in which case it becomes yoga), the explanation of the many physiological benefits proves the existence of a strong connection between the mind and body. You should never over-emphasize just one of them. For some of those who are reluctant to believe me (and I totally understand you, by the way) there are also lots of professional sports competitor journals that have been confirming the strong impact meditation had on their results. Secondly, they are amazingly beneficial in regard to mind training or healing. I am not really going to get in the details of the differences of the brain size and gyrification between people who are frequently meditating and have done so for a while and the ones that haven’t. But it is scientifically proven that meditators can process information faster than others and also show stronger connections between brain regions. 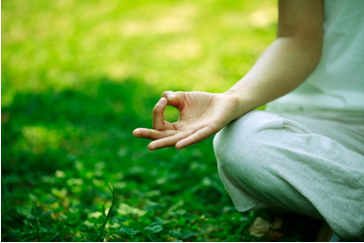 The habit of meditating is a basic requirement for mental rehabilitation. No matter whether you have struggled with severe depression and anxiety disorders, escaping from an addiction of some sort or are currently being treated or recuperating from cancer, the equilibrium reached through meditation has done wonders in the past, and I strongly believe it will continue doing so in the future. It seems to me that the greatest discovery of our era is the strong impact of the mind over all the aspects of our life. Discover your possibilities and let this article open a door to this secret of health, which has been around for millenniums. David’s evolution from being an agile athletic child to becoming an expert in nutrition and fitness as well as an author has been filled with many years of learning and studying the whole rigmarole of the fitness industry.